Football players prepare to spike the ball. 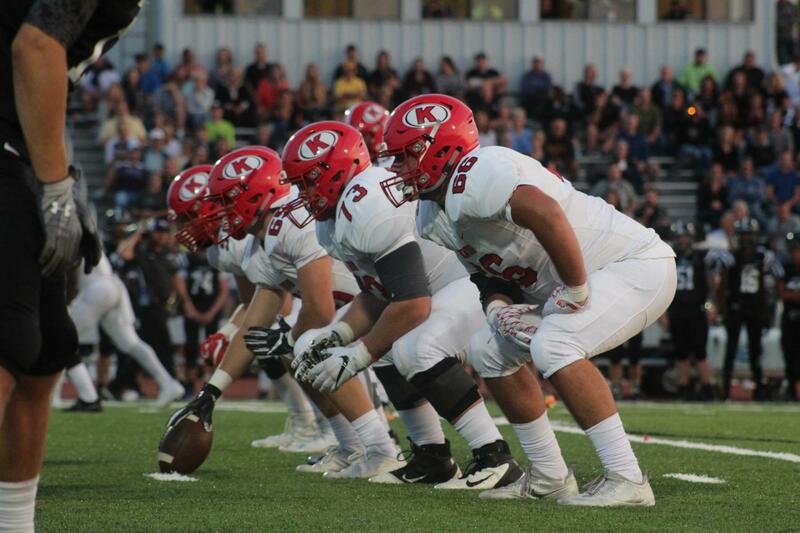 The Kirkwood Pioneers will face off against the Webster Groves Statesmen in the 2017 Turkey Day game at Lyons Memorial Stadium, at noon on November 23, Thanksgiving Day. The Pioneers are looking for their fifth straight win against the Statesmen, who have lost by a combined score of 130-25 since 2012. The Statesmen, however, lead the all time record at 53-46-5. This season the Pioneers lost in the District one semifinals to Lindbergh 16-14, and the Statesmen lost in the District two semifinals to Pattonville 36-14. Amongst common opponents this season, the Pioneers are 6-0, and the Statesmen are 2-4. With starting quarterback John Doria out with a broken collarbone, the Statesmen will have to rely on backup QB Enrique Quinones.